The highly star powered movie which was earlier expected to rule over box office, is actually lagging behind badly. 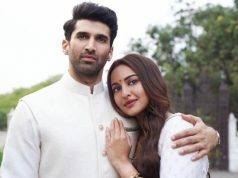 Yes we are pointing out this week released romantic drama movie ‘Fitoor’ that features one of the most popular actresses in Bollywood Katrina Kaif opposite to Aditya Roy Kapoor. Fitoor was buzzing around from a long time among audience but after release, received mixed reviews from critics as well as audience. Everyone appreciating the sizzling chemistry between both the stars but due to movie’s slow story line, it get failed to satisfy viewers. 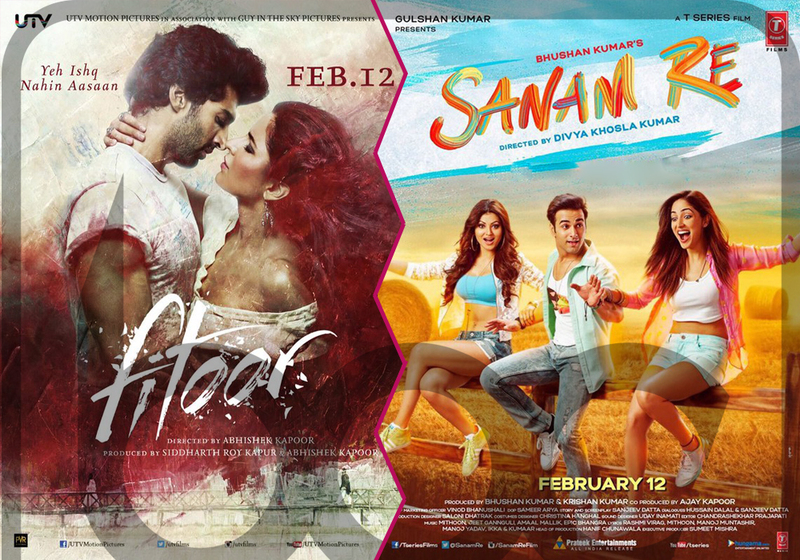 As a result, adjacent release Yami Gautam and Pulkit Samrat starrer ‘Sanam Re’ is getting higher response and leading over Fitoor. Sanam Re has beautiful tracks which had created good pre-release hype of it among audience and also attracting them towards theater. 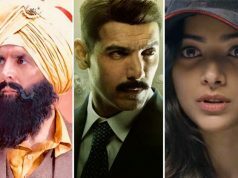 Due to ineffective script and direction, Divya Khosla Kumar’s directorial this movie is also not getting positive reviews from critics but comparatively performing higher than Fitoor at box office. In the opening weekend, Sanam Re has witnessed the overall occupancy of 35-45% across the country and minted the business of 17.05 crores, whereas Fitoor raked 14.11 crores with 25-35% occupancy. Both the movies are now running in weekdays and being normal working days reporting low foot-fall. On Monday, with more than 50% of drop Sanam Re collected the amount of 2.56 crores and in parallel Fitoor collected 1.63 crore*. On the next day i.e. 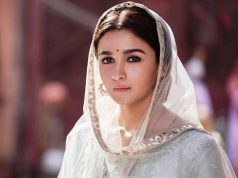 Tuesday, both faced more drop; added 2.34 crores and 1.19 crore* respectively to their accounts. On Wednesday, Sanam Re recorded almost similar response and minted 2.11 crores to make it domestic total as 24.06 crores. On the other hand Fitoor showed more drop and minted 0.91 crore* as its sixth day collection; made it domestic total as 17.84 crores*. No one had expected such poor performance by Fitoor at box office, such cold response from audience has given strong shock to the makers.